Yes! Lasers have been widely used in dentistry and other medical fields for many years, and are considered completely safe when used properly. They are fully approved by the government for use in dentistry. Your dentist is an accredited laser user and is specifically trained in laser safety and laser dentistry.Your dentist can answer any questions you have about laser safety. What will it feel like while being treated with the laser? Most patients feel nothing during laser treatments. Some patients report a slight sensation.This varies from patient to patient. Your dentist will ensure that you remain comfortable throughout the laser treatment. Will I need needles for laser treatments? In most cases, needles are not required during laser treatments. In some instances a needle will be necessary, but this depends on the type of procedure being performed, the type of laser used, and the individual patient. Who is suitable for laser dentistry? 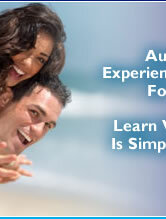 Almost all dental patients can receive the benefits of laser dentistry. It is especially ideal for children. 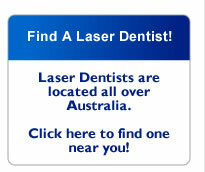 Your dentist can tell you which laser treatments can benefit you. 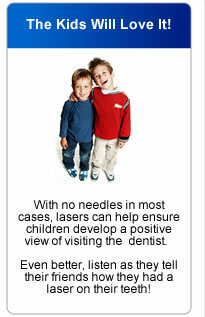 How will my visit to the dentist be different with lasers? Apart from the main benefits of laser dentistry - less time in the chair, fewer visits, fewer needles, less discomfort - your visit will be much the same as before. Depending on the type of laser being used, there will be a quiet beep or ticking sound when the laser is operating. You might feel a water spray or air spray - much the same as a normal visit. There will be some additional safety precautions taken during your visit. Both you and your dentist will wear protective eyewear during laser treatments.The surgery door will also be closed whilst the laser is in use.